Lifegard Aquatics 2700 PG Water Pump | Fountain City Art Ctr. PG Pumps are high performance energy-efficient pumps. 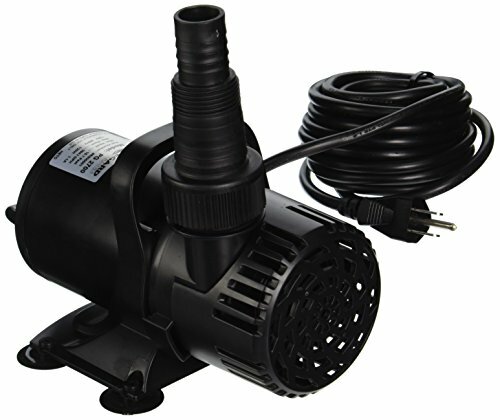 It is designed for Pond, Water Gardens, Fountains, Waterfalls, Hydroponic Systems, Irrigation Systems and Water Features. For use in either wet or dry installations and features Wet Rotor/Wet Bearing Technology for cooler running. Pre-filter screen handles large particles for less maintenance. If you have any questions about this product by Lifegard Aquatics, contact us by completing and submitting the form below. If you are looking for a specif part number, please include it with your message.